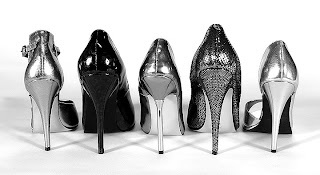 Of course women and shoes have a strong, unique relationship, and if you think about it--men and shoes do, too! So, to help support a great cause, Soles 4 Souls, and a cool documentary about women and shoes, we want you to LIKE our post about our favorite pair of shoes on the God Save My Shoes Facebook page. The more likes and posts, the more money donated to Soles 4 Souls. 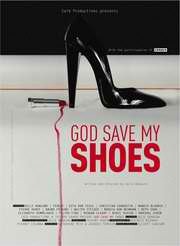 God Save My Shoes is a documentary in progress about the relationship between women and shoes. We are extremely excited about this feature; the shoes, and the women contributing their stories to the piece. Celebrities and women around the world are a part of this film. It's going to be amazing! Soles 4 Souls is a shoe charity, recycling shoes for those in need. Many of us take our fabulous shoe closets for granted and hardly stop to think of people who'd love--or need just a couple pair. Soles 4 Souls has 2 other divisions, Clothes 4 Souls and Hope 4 Souls, which all work to help alleviate poverty. Here's more on their mission and how you can help! Don't forget to LIKE...and share! !